Preheat oven to 200’C. Mix ingredients together and brush lightly over Mountain Bread with a pastry brush. Place on trays but take care not to overlap the pieces. Place in oven for 5 minutes or until crisp but only just brown then place on cake racks to cool. Store in an airtight container. 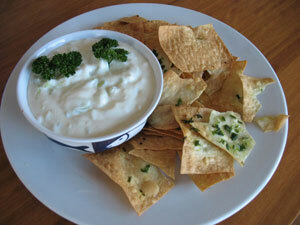 Eat with failsafe tzatziki dip, Failsafe hummus or Howard’s bean paste.